In a surprise announcement, The Himalayan Times reported last week that Sherpas who climbed Everest this year will not be receiving summit certificates. 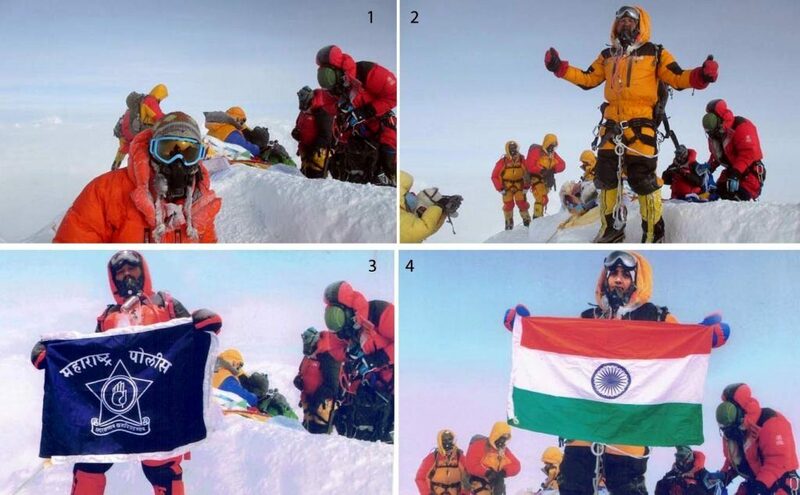 This follows reports that a pair of Indian police officers (of all people) did receive summit certificates in exchange for Photoshopping a pair of summit photos. So what on Earth is going on? Once again, here at the Footsteps on the Mountain blog, I try to shed some light on the bizarre workings of Nepal’s Ministry of Tourism. But first some history. Recognition for their help in getting westerners up high mountains has been an important part of Sherpa culture for the best part of 100 years. The Scottish physiologist and mountaineer Alexander Kellas is believed to have been the first person to recognise the exceptional ability of Sherpas as high-altitude mountain workers. He climbed extensively in the Himalayas in the early years of the 20th century, conducting observations on the effect of altitude on the human body. He travelled alone, but recruited Sherpas from Darjeeling to travel with him as high-altitude porters. As more mountaineering expeditions used Darjeeling as their base for exploring the Himalayas, and recruited porters to transport their many tons of equipment over high passes, it became important for Sherpas who had worked on previous expeditions to have references from their employers. The system was formalised with the foundation of the Himalayan Club in 1928. They established a more organised system of recruiting porters, which included a passbook for each mountain worker, listing their name, village and contact details, and a list of the previous expeditions they had worked on. At the end of each expedition, their employers would add a line to the book confirming each Sherpa’s employment. It was the responsibility of the Sherpa to look after this book and produce it at the recruitment ground when a new expedition arrived looking for staff. In 1933 Hugh Ruttledge named eight Sherpa “Tigers” who had all carried loads to their Camp 4 at 8350m on Everest. In 1938 the great mountain explorer Bill Tilman went a stage further by presenting Tiger medals to all of the Sherpas on his team who reached 8230m. 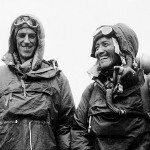 One of these was the great Tenzing Norgay, who in 1953 would become the first man ever to obtain an Everest summit photo. Famously his climbing partner Edmund Hillary, who took the photo, forgot to turn the camera around and take a selfie (or let Tenzing take one for him). Here’s what a summit certificate looks like. The ugly mug in the top right corner is me. I often ask Sherpas I climb with about the other mountains they have climbed, and all of them happily reel off the exact tally of their 8000m peak summits. This is because it’s more than just a status symbol: their 8000m summits can directly affect their ability to find work. Formal recognition in the form of a summit certificate is therefore very important. 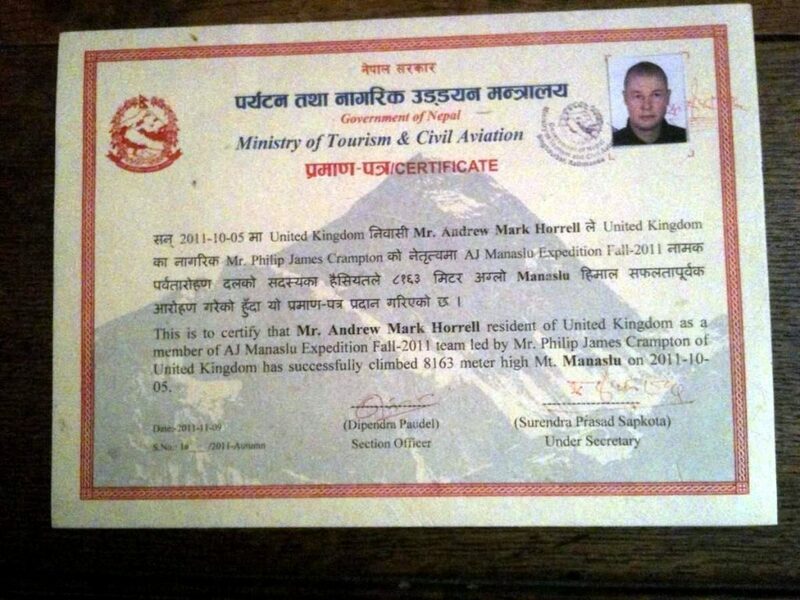 So why did Nepal’s Ministry of Tourism refuse to issue Sherpas their summit certificates this year? According to The Himalayan Times, the answer lies in one of the Rule 32s of the Mountaineering Expedition Regulation, a set of rules governing the behaviour of foreign mountaineering expeditions (and which contains two Rule 32s but no Rule 33). “The regulation mentions that the ministry shall provide a certificate of mountaineering expedition to the expedition and the members of the successful expedition and not to the Sherpas, who accompany climbers from across the world to the top of mountains,” Laxman Sharma, Director at DoT’s Mountaineering Section, told THT. 32. Certificate to be Provided: The Ministry shall provide a certificate of mountaineering expedition to the mountaineering expedition team and the member of such team for successful mountaineering expedition in the format as prescribed in schedule 13. If you can see beyond the rudimentary English literacy, you can see that it doesn’t say anything about “and not to Sherpas”. If we’re going to cite this rule as a basis for issuing certificates, it doesn’t say anything about reaching the summit either. Taken literally, as long as the expedition is successful, every member of the team should get a certificate. So what on earth is Mr Laxman Sharma talking about? In other words, he’s claiming that because Sherpas don’t pay a royalty (or permit fee), according to the regulation they are not considered members of the team. But I’ve been through the regulation several times now, and although it talks about team “member” in several places, it makes no definition about what a team member is. Nowhere does it exclude Sherpas from this definition. In any case, this document was written in 2002 and Sherpas have always been issued with summit certificates up till now. Has he only just read it? 8. Citeria [sic] for the designation of Liaison Officer: His Majesty’s Government shall designate liaison officer among the Gazette third class officer or same level of the Royal Nepal Army and Nepal police or Non- Gazette first class or above class officer of the civil service or officer level employee of the institution having the sole authority of His Majesty’s Government as working in the institution of His Majesty’s Government at least since last one year, on the following criteria. His Majesty being the king, who was deposed in 2008 when the monarchy was abolished and Nepal became a republic. The functions, duties and rights of liaison officer shall be as follows … (c) To stay in the base camp during the mountaineering expedition program. I’ve been on several mountaineering expeditions in Nepal, and I’ve never once had a Nepalese liaison officer stay with me in base camp. In fact, I’ve never even met any of my liaison officers. This is because in Nepal expedition liaison officers rarely show up for work, and this fact is widely known. Barely a week before this article, Rajan Pokhrel of The Himalayan Times (who deserves a certificate of his own for breaking news about Nepal’s tourism industry) reported that of 33 liaison officers assigned to mountaineering expeditions on Everest this year, only 17 of them even made it to base camp! He goes on to list the 16 expedition teams who never saw their liaison officer (but paid their wages). If only he had named and shamed the 16 officials who bunked off work as well, then the story would be complete. 21. Opportunity to be Provided for Climbing: The mountaineering expedition team shall provide an opportunity to reach the concerned mountain peak to the headman, mountain guide, high altitude worker if they are accompanied with the mountaineering expedition team up to the last camp. In other words, if a climbing Sherpa reaches high camp, then they must be allowed to attempt the summit. But this is a mountaineering decision, one that has to be taken at the time, depending on the circumstances. It’s not something that should be governed by red tape. Climbing Sherpas are employed first and foremost to help the team, and the needs of the team have to come before any personal ambition to reach the summit. 7. Approval to import the means of Communication: His Majesty’s Government may provide approval, to import two satellite telephone, twelve walkie -talkies, two wireless having the capacity to communicate between the base camp and Kathmandu and wireless having the capacity to communicate between the base camp and nearest police station or the place having the telecom facility for temporary use, in a condition to bring back to home country after the program, to the mountaineering expedition team having the permit. These regulations were written in 2002, a few years after the invention of the internet, but in an era when the Ministry of Tourism believed people were still using wireless as a means of communicating with Kathmandu. Why not runners bearing coded messages? With 3G now available most of the way up to base camp, firing off an email with a smartphone or laptop is a bit more likely. 24. Broadcasting of News Relating to Mountaineering Expedition: The mountaineering expedition team shall provide all the news relating to mountaineering expedition through the liaison officer to His Majesty’s Government. Which, of course, is a bit difficult if the liaison officer is nowhere to be seen. 31 (4) If any mountaineering expedition team publishes a book or booklet relating to such mountaineering expedition after completion of the mountaineering expedition, the team shall send two copies of such book or booklets to the Ministry. 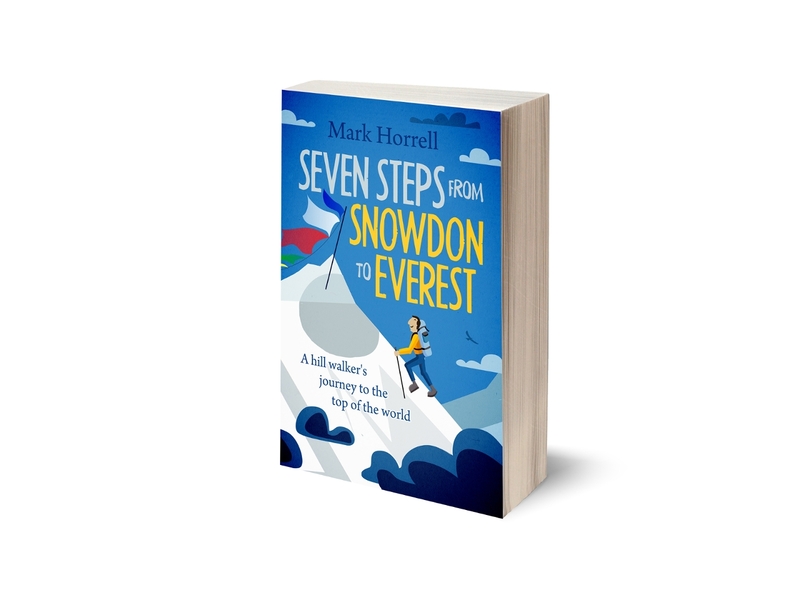 Does this mean I’m supposed to send them two copies of my book Seven Steps from Snowdon to Everest? They have to be joking. But if I’ve convinced you Nepal’s Mountaineering Expedition Regulation is farcical, it seems that Mr Sharma of the Ministry of Tourism already knows this. According to the article, they are already amending the regulation, and Sherpas will be entitled to summit certificates in the future. If this is the case, then why not just give them the certificates they deserve, instead of adhering to rules that are flagrantly ignored in so many other ways? Two years ago I was at Everest Base Camp when a Sherpa strike caused all expeditions on the mountain to be cancelled. 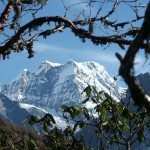 The strike was ostensibly about an avalanche, but as time went on it became clear it was a dispute between Sherpas and government about how the money from foreign mountaineering expeditions is spent. Climbers like me were caught in the crossfire. Also this month a team of climbers were barred from climbing a peak in Upper Mustang by locals who claimed their presence was a bad omen if they passed through land that was being cultivated. The climbers had paid their permit fee and believed they had permission to climb. But the locals weren’t aware of this, and it’s doubtful if any of the money found its way to them. In the short term the losers were the climbers, who had to go home with their peak unclimbed, but if the Ministry of Tourism continues to ignore the wishes of those who carry out the work or own the land, and tourists continue to lose out like I did in 2014, then all of Nepal’s tourist industry will suffer in the long run. A very simple reason why Sherpas should be given their certificates, to put alongside the even simpler one that it costs nothing and it’s the right thing to do. If I were a Sherpa i would want you to fight my Case. Nice review of absurd regulations – then and now Mark. It would be fascinating to see if there was something similar for India, Bhutan, Tibet, Argentina … or Alaska over the decades. You know, having rules and order is important to give credibility and structure to these big mountain efforts, but to politicize the climbs in such a self-serving manner goes beyond graft and vanity – it is simply silly. Thanks, Alan. And thanks for alerting me to the document. Agreed – I have no problem with there being regulation when the rules are sensible and enforceable! If nothing else the Ministry of Tourism gives us plenty to blog about.